You can contact any of the TALB staff by emailing them directly or by calling the TALB office at (562) 426-6433 or by sending a fax at (562) 424-9352. You are welcome to come by the TALB office. Friday at 8:30am – 4:30pm. Call us at (562) 426-6433 or send fax to (562) 424-9352. 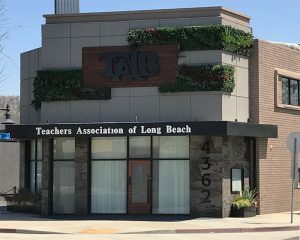 We are located at 4362 Atlantic Avenue, Long Beach, CA 90807 on the corner of Atlantic Avenue & Claiborne Drive, one block south of San Antonio Drive in Bixby Knolls. If you are a TALB member and would like to send a message or question, click here.